What If Link Failed To Open The Doors In The Temple of Time? Link enters the Temple of Time, his heart pumping as he has just stood face to face with the being of his Nightmare’s Ganondorf. He places the spiritual stones onto the pedestal and with his newly acquired Ocarina, he rocks out the song of time. But nothing happens so he tries again... and again nothing happens. Welcome for once more to Observation Deck’s What If! This is where I change one thing from a famous work and then we all study the results. Past editions include a dead child, corporate espionage, marriage, accidental suicide, wishes to rule the world & another dead child. 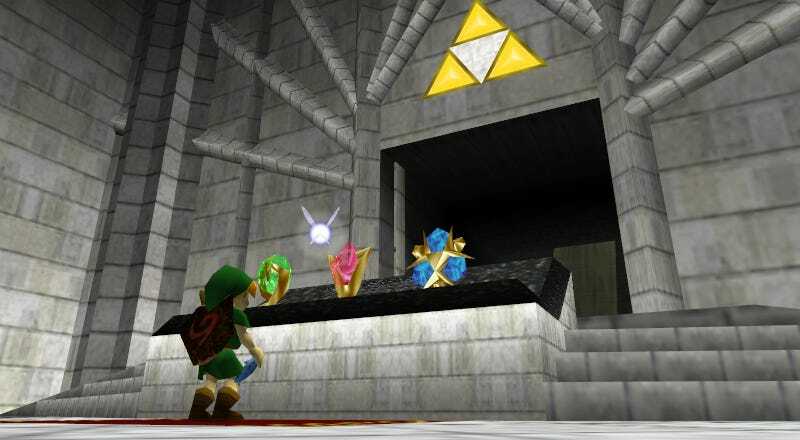 In this week’s entry, we will discuss what would have happened if Link had failed to open the doors in the Temple of Time. You can use any source of media to help with your conclusions and remember, no answer is a silly answer. Well the immediate changes would mean that Ganondorf would not have been able to corrupt the sacred realm, the Master Sword would never have been retrieved and the Ocarina of Time would have just been some purple musical instrument. But what the hell would happen to Ganondorf? He’s still out there and has an army of Moblins and Gerudo in his command. Could kid Link fight off regular Ganondorf by himself? Well, we did see that he was able to stop him as a kid in Majora’s Mask, but he also had the power of foreknowledge when he did that. Now that the doors never opened, it would likely mean that these timelines would have never of happened. However, would a new multi timeline form out of this change? One also has to wonder if in this version, the Hylians slowly die out like what was happening in the original Linked failed timeline where humans basically took over.